Music is the soul of a traveller. At least, for me it is. Every now and then my heart pounds for beats that sync with my steps. 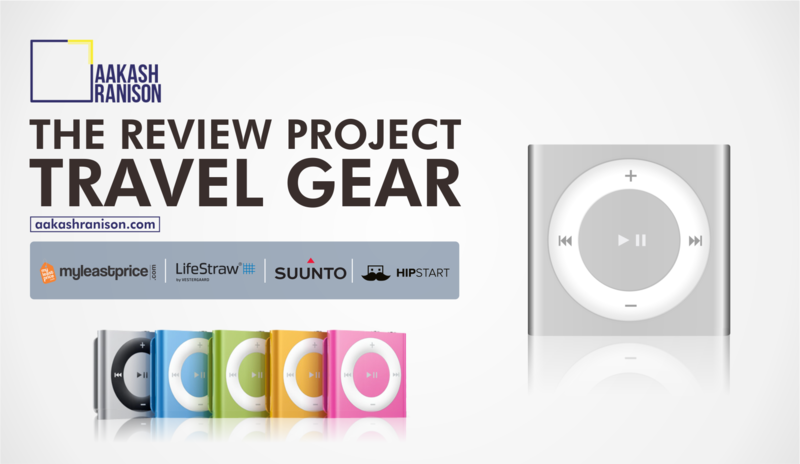 To fulfill this purpose, I trust a travel gear that suits the best for my music needs- Apple iPod Shuffle. In spite of forethought, I am always jam-packed with luggage while my trips and tours. After all, being a solo traveller, I can’t rely on anyone else. Therefore, I pick up my travel gears according to ease of carrying. Apple iPod shuffle proves as one of my lightest travel gear. Plus, with this, I have a music player that doesn’t take storage and battery life away from my iPhone 6. I like to term my iPod shuffle as a great little thing that can be attached to anything from my pants to shirts to jackets to backpacks and even more. This burdenless travel gear is a gift while I go for hitchhiking. All I have to do is, attach it with that tiny clip on my clothing, and the rest is my music and me. This wearable solid piece of aluminium has got the sleek and classy look. Also, with a battery life of 15 hours, it is available in five fancy colors. Often when I go for cycling tours, this smart little shuffler does all the work for me. The control pad on my iPod shuffle gives me the freedom of changing tracks pretty easily. The music controls are very handy and I can always play, pause, forward and back this thing smoothly (cheers for buttons!). Moreover, I can shuffle, order or turn it off with just an easy flip of the shuffle switch. The VoiceOver button on the top of the iPod shuffle is another interesting ingredient. First of all, it speaks in 29 different languages (Woohoo! Isn’t that super cool?). It recites the title of the playing song, artist and even the playlist. And that too in their native languages. In the end, I’d say that the simple interface, great design, build quality and the feature of easy music sync (choosing playlists, genius playlists, albums, artists, podcasts, etc) is what makes this travel gear totally carriable for a traveller. Find the best match of this music piece with your taste at Myleastprice.com and compare the colors and price. Meanwhile, I’ll be jotting down my advancing tales of travel gear reviews here. 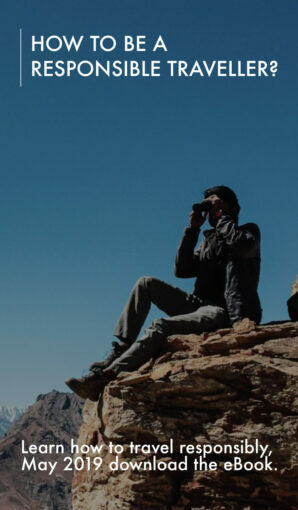 Have a look and find other cool gadgets for your adventures. Set your music & travel on!